The back label of this wine calls it “the essence of Southern France.” Having never been to the Languedoc (yes, it’s on the list…), I can neither confirm, nor deny this assertion. That said, when I taste this wine, the images formed in my mind are of the rugged, stony vineyards of the region, bathed in beautiful sunshine… a la Peter Mayle’s A Year in Provence. I have been all afire lately about the values one can claim on the Iberian Peninsula… and then, when you least expect it, a stunning little number like this wine shows up, again reinforcing my Euro-centric palate. The Guilhem red is a splendid little wine made from 40% Syrah, 25% Grenache, 15% Carignan and 20% Mourvèdre, the “usual suspects” in most of the red wines from this region. Easy drinking, the wine is the perfect weight for summer quaffing with noticeable spice to make it an ideal partner with fare from the grill. At an average retail price of $9.99 per bottle before the discount, you can’t go wrong with putting a case of this in the cellar! Ripe, fruity nose with black cherry, allspice and wildflower hints. Medium-bodied with moderate-to-firm acidity and supple tannin – good balance. Youthful with a juicy, lively palate – sour cherry, dried herbs and floral notes. Moderate length with a smooth, simple finish. Some hint of spice and pepper shows on the aftertaste. Drinking, or should I say quaffing, well – not for aging. Although, the wine is closed via Stelvin, so I would expect the wine to remain fresh and lively for a few years to come (the web site says drink within 3 years). Great value. As a follow-up to my posting about our recent Scotch Whisky tasting, I thought I should let people in on a little local shop who seems to have an endless selection of whisk(e)y. When we first moved to this neck of the woods, I made the rounds of all the local wine and spirit shops. I found a handful that I really liked and unfortunately, many that I felt were just not up to snuff. That was 15 years ago. I have since visited a few of the new shops that have opened, as well as a few of the original shops. My visits usually turn out to be one of two types – either very brief or fairly lengthy, the latter being a sign of good things to come. Well, recently I stopped back at Provo Liquors in Norfolk, MA and ended up spending the better part of an hour chatting with the amiable and ever helpful owner, Bruno Formato. 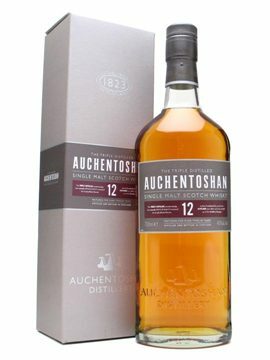 Hot off of my Scotch Whisky tasting, I was in search of a few special bottles and happily Bruno had them in stock. One he did not, but he thought he would be getting it soon. I had to compliment Bruno because his selection and assortment of whisk(e)y was nothing short of amazing. The only other store that I’ve been in recently that has a more exhaustive selection is Julio’s in Westboro. Provo is less than 10 minutes from my house. Julio’s is about 35 minutes… You know where I will run to first the next time I am in search of some arcane whisk(e)y.
Bruno and I also chatted about our very consistent philosophy about wine making and we found ourselves agreeing on the high value of most European wines, especially those from Spain and Portugal. We’re both Italians that grew up with wine on the table at almost every meal. For us, wine is not an adjunct to the meal, it is essential part of the meal, like another food. We agreed that the new term being coined in the industry, “cocktail wines,” is an unfortunate reflection of how most Americans view wine. Bruno also graciously shared a plate of his home made prosciutto – wow, was it delicious! Just the right amount of salt with a nice subtle, yet complex flavor profile. So, I urge you, if you are in the area, or want to make the trip, to drop by Provo Liquor on Dedham Street in Norfolk, MA. Make sure you tell Bruno that I sent you over! I recently hosted a very nice Scotch whisky tasting for some very dear friends. The selection of Caledonian beauties was not exhaustive, but broad enough to showcase the incredible diversity that is Scotch. Whisky (Scottish), or whiskey (Irish), refers to a broad category of alcoholic beverages that are distilled from fermented grain mash and aged in wooden casks (generally oak). Different grains are used for different varieties, including: barley, malted barley, rye, malted rye, wheat, and maize (corn). Whisky derives from the Gaelic word for “water” (uisce or uisge), and is called in full uisge-beatha (Scotish) or uisce beatha (Irish). The full term means “Water of Life” and it is related to the Latin aqua vitae, also meaning “water of life.” The term is always Scotch whisky, and Irish whiskey. The first written record of whisky comes from 1405 in Ireland, where it was distilled by monks. Legend states that Saint Patrick had brought the art of distilling to Ireland in the 5th Century, but this has not been substantiated. Another legend suggests that the art of distillation was brought back to England, Ireland, Scotland and Europe in general, by monks returning from their service in the Crusades. It is widely known that the Muslims invented, practiced and refined the art of distillation, not for the production of alcohol, but rather for the production of perfumes and other medical elixirs. Over many decades of crusading, Christians and Muslims co-mingled and it is believed that Muslim practitioners taught Christian monks the secrets of distillation. The time frame for their return is early in the 14th century, which ties-in nicely with the written evidence of distillation in both Ireland and Scotland. Whisky is first mentioned in Scotland in 1494 in the king’s ledger: “4 bolls of malt to Friar John Cor wherewith to make aqua vitae.” Four bolls of malt equal fifteen hundred bottles, so it is likely that distillation existed in Scotland long before 1494 and was quite popular. The ledger entry also underscores the fact that whisky production was clearly an exclusive activity of the monastic orders in Scotland. Distilling Whisky became a very popular pastime, which the government tried to regulate unsuccessfully over the next few hundred years. The Scottish didn’t much enjoy being under the control of a foreign government. In 1707, England formally incorporated Scotland into the United Kingdom and financed the affair through a tax on Whisky. This proved to be a significant mistake for the English, which fueled a patriotic rebellion of sorts. Scottish “patriots” took to illegally distilling and smuggling Whisky throughout Scotland, openly defying the few bands of excise officers sent to collect the Whisky taxes. The 18th Century proved tumultuous and bloody, with England sending troops to quell the various Whisky riots that broke out in protest of even higher taxes. Eventually King George IV brought sanity to the situation. On a state visit in 1822, the king tasted the Whisky produced in Glenlivet and pronounced it the official royal toasting drink. In addition, King George IV restored previously banned Gaelic customs to Scotland and created a sensible tax structure for Whisky in 1823. This event led to the establishment of legal distilleries and eventually the illegal stills and smugglers were replaced by a network of legally bonded Whisky distilleries. The legitimacy of Scotch whisky allowed distillers to focus on improving quality, which was achieved primarily through aging in oak barrels. Up to this time, Whisky had never been purposefully aged, which meant that the beverage was very rough on the palate. The implementation of oak aging transformed Whisky from a rustic, farmers drink into a respectable beverage of the upper class. Queen Victoria fell in love with Scotland and its native drink, which further elevated Whisky’s popularity. To keep up with demand, the distillers began to blend the strongly flavored single-malt whiskies with the lighter grain alcohols being produced at the time and blended Scotch was born. The growth of Scottish whisky was further aided by the advent of the phylloxera vine louse, which destroyed most of the vineyards of Europe during the end of the 19th Century. This tragedy had the connected effect of destroying the then burgeoning Cognac/Brandy industry. Cognac and Brandy are grape products, so with the vineyards in ruin, the Cognac industry lost its raw materials, which forced it to forfeit its market. 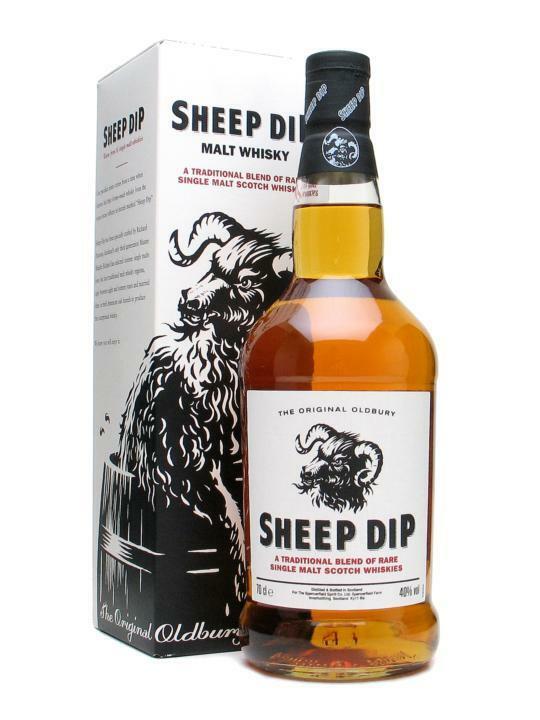 Scottish whisky was only too happy to step in and fill the breach, which catapulted Whisky into a whole new level. Growth continued unchecked until the 1890’s when a series of distillery scandals, followed by grain shortages in WWI finally cut the number of Scottish distilleries (161 in 1899) in half by 1924. Further damage was dealt to the industry when the American Temperance movement, led by Carrie Nation succeeded in winning the passage of the 18th Amendment in the US, otherwise known as Prohibition. Given the history of illicit Whisky production and smuggling, the Scottish distillers were really only inconvenienced by Prohibition and the flow of illegal Whisky into the US at this time was significant. Prohibition also forced Scotland to seek other markets, like the Japanese, to bolster demand. As a result, Scottish whisky was less-traumatized than the Irish and American whiskey industries. There are two basic categories of Scotch whisky: Malt whisky, which is made primarily from malted barley that has been dried over smoking peat fires and Grain whisky, which is made from un-malted wheat or corn. Both whiskies are aged in used wooden Bourbon, Sherry or other wine barrels for a minimum of three years, although five to ten years is the general practice. International laws require anything bearing the label “Scotch” to be distilled in Scotland and matured for a minimum of three years in oak casks or bear a quality equal to that expected of produce from that region. All Scotch malt whiskies are double or triple distilled in pot stills, while Scotch grain whiskies are made in column stills. Whiskies do not mature in the bottle, only in the cask, so the “age” of a Scotch is the time between distillation and bottling. This reflects how much the cask has interacted with the Whisky, changing its chemical makeup and taste. Whiskies that have been in bottle for many years may have a rarity value, but are not “older” and will not necessarily be “better” than a more recently made whisky matured in wood for a similar time. Single Malt Scotch Whisky is a whisky made entirely from malted barley and distilled in an onion-shaped pot still at one distillery. 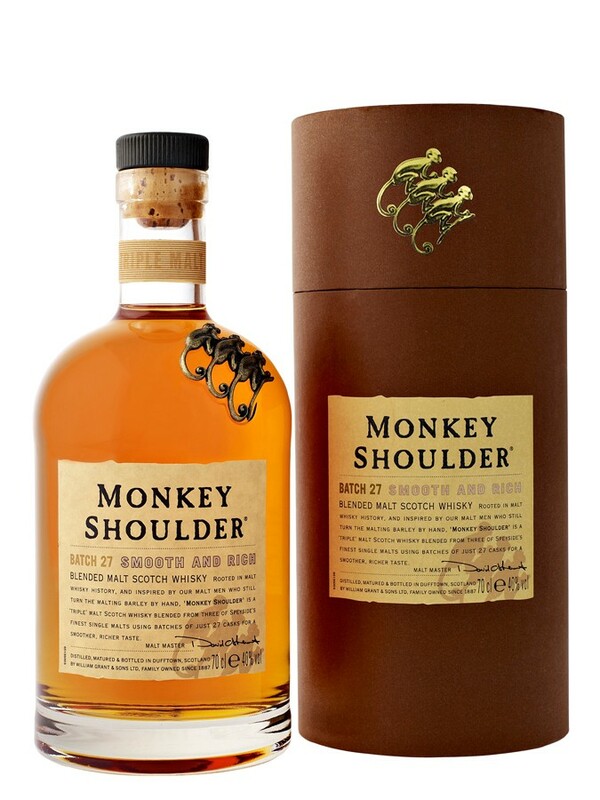 It may be a mix of malt whiskies from different years, in which case the age statement on the bottle label gives the age of the youngest spirit in the blend. The barley malt for Scottish whisky is first dried over peat-stoked fires. 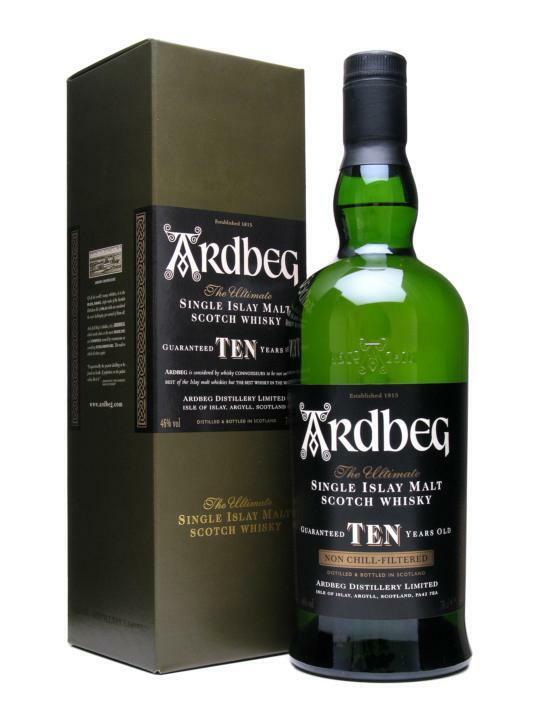 The peat smoke adds a distinctive smoky tang to the taste of the malt whisky. Vatted Malt Scotch Whisky is a blend of malt whiskies from different Scottish distilleries. 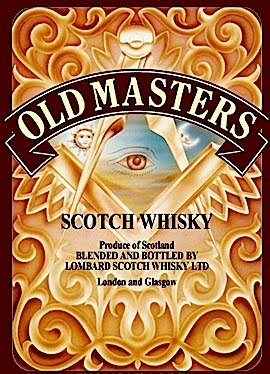 If a whisky is labeled “pure malt” or just “malt” it is almost certain to be a vatted whisky. These whiskies are also sometimes labeled as “Blended Malt” whisky. Scotch Grain Whisky is made primarily from wheat or corn with a small percentage of malted and un-malted barley included, usually in a continuous “patent” or “Coffey” still. Until recently grain was only used in blends — but there are now some “Single Grain” Scotches being marketed. 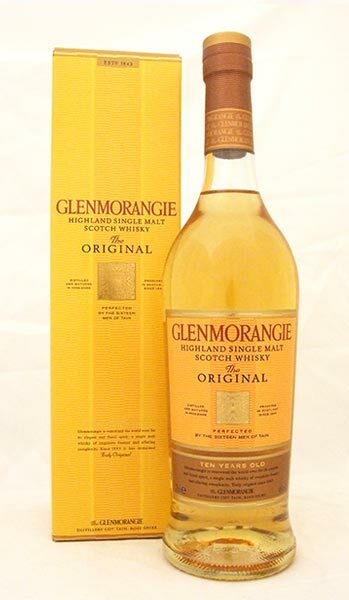 Blended Scotch Whisky is a blend of grain and malt Scotch whiskies. A whisky simply described as Scotch Whisky is most likely to be a blend in this sense. A blend is usually from many distilleries so that the blender can produce a flavor consistent with the brand, and the brand name (e.g. Bell’s, Chivas Regal) will usually not therefore contain the name of a distillery. 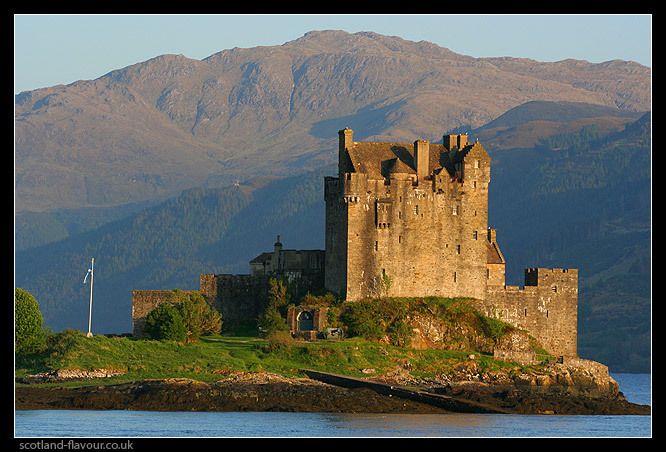 The Highlands consist of the portion of Scotland north of a line from Dundee on the North Sea coast in the east to Greenock on the Irish Sea in the west, including all of the islands off the mainland except Islay. 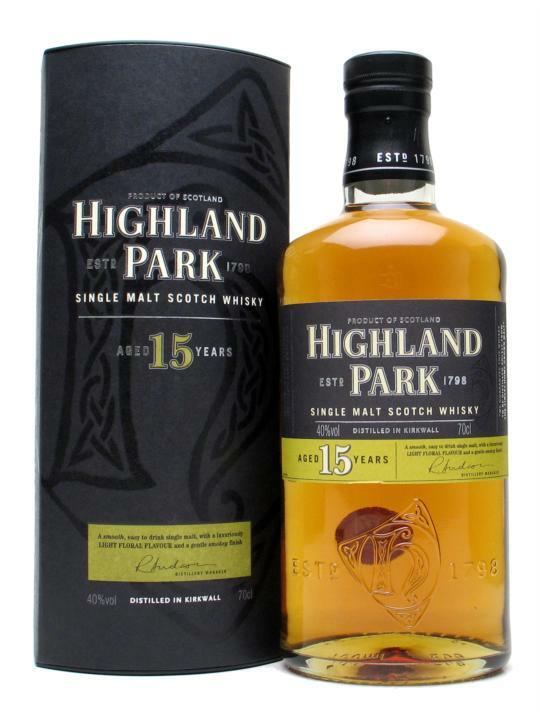 Highland malt Whisky covers a broad spectrum of style, which are generally aromatic with smooth, medium-bodied palates. 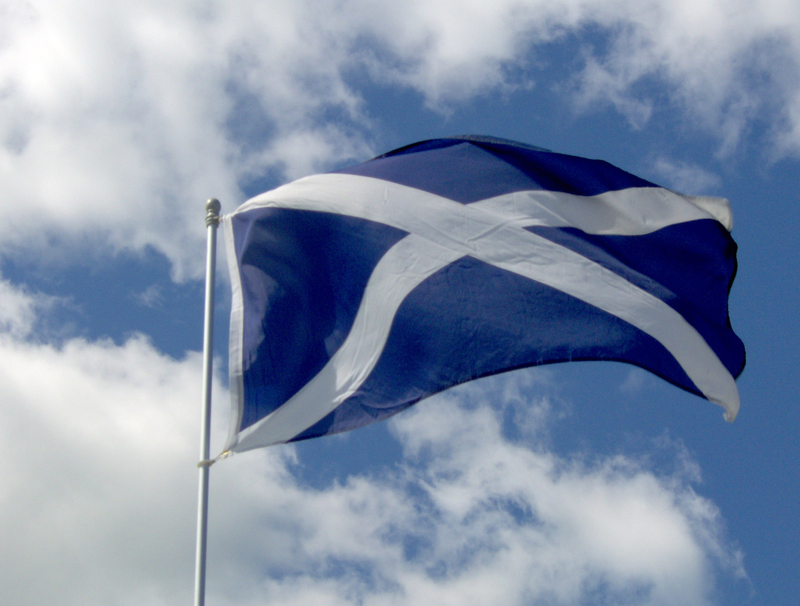 The following are sub-regions of the Highlands: Speyside, North East,West Highland, the Orkney Isles, and the Western Isles: Arran, Jura, Mull, Skye. 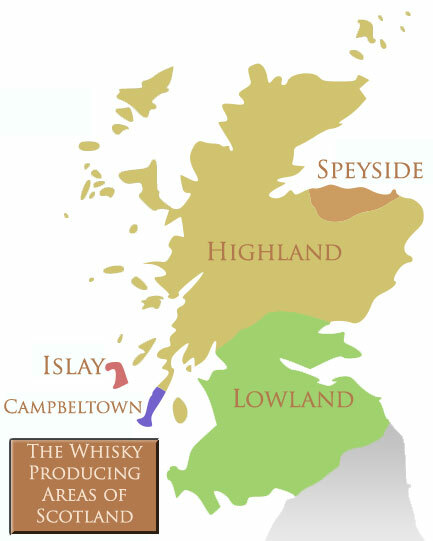 The Lowlands encompass the entire Scottish mainland south of the Highlands, except the Kintyre Peninsula where Campbeltown is located. 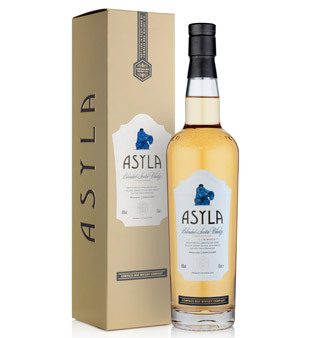 Lowland malt Whisky is light-bodied and relatively sweet and delicate. Islay is an island off the west coast of Scotland. Typical Islay malt Whisky is intensely smoky and pungent with distinct iodine, or medicinal notes, generally taken from the sea salt that permeates the local peat that is used for drying the barley malt. Campbeltown is a port located on the tip of the Kintyre Peninsula on the southwest coast of Scotland. Campbeltown malt Whisky is quite distinctive with a spicy and salty tang. **As a note, scoring was based on points awarded for first, second and third place votes. First place votes receiving three points, second place receiving two points and third place receiving one point. Like anything as subjective as this exercise, personal preference becomes the rule of the day. Therefore, the scores above should be characterized not as absolute indications of quality or betterment, but instead represent the personal biases of the tasting panel present.